School IDs: Will it change anything? 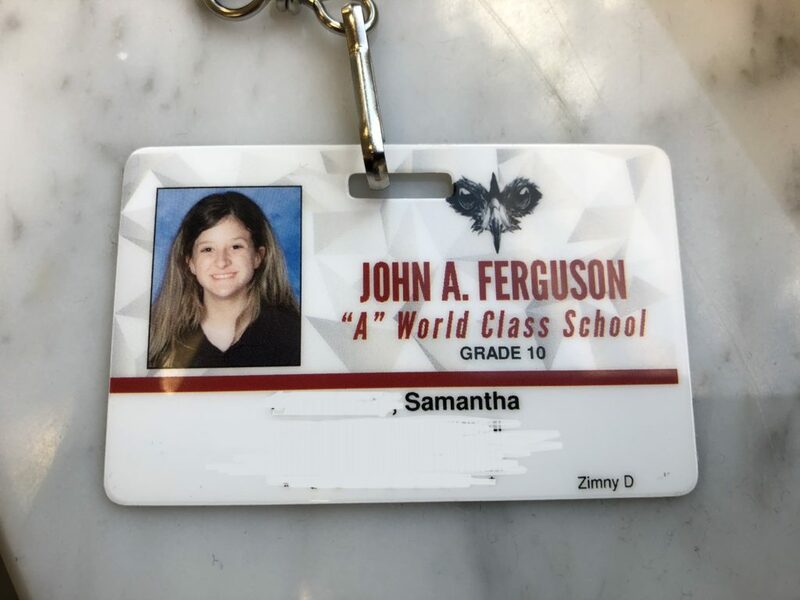 Wearing IDs has always been a requirement in some schools, but this school year, it is now enforced as a major part of Ferguson’s security measures. It increases campus security without spending too much extra money and is minimally intrusive to students. However, many students argue it’s unnecessary because it’s an invasion of privacy or an unnecessary measure. Student or staff identification badges are important to be able to distinguish between students and visitors, or knowing at first glance if someone is on campus and isn’t supposed to be there. Due to this importance, if a student violates this policy, they can be disciplined by detention, or charged for a new one. There is no doubt that one of the reasons why wearing IDs is very serious for parents and teachers was because of school shootings. Being able to identify who’s a student and who’s not can prevent tragedies. Some schools let their students be in open spaces during lunch, so you should be able to tell who’s who. “IDs are effective, but overall, it won’t stop someone from coming into school grounds with the intent to kill,” Language Arts Teacher, Sandra Reynolds said. Although school IDs are a newly enforced security measure, some students think otherwise. As Junior, Britney Gazo stated, “IDs don’t do anything truthfully.” Others seem to believe it’s not necessary to have it around the neck at all times, like Senior, Geo Ruiz who expressed that if security guards or administrator who want to see a student’s ID, should just ask to see it instead of the ID always being around your neck uncomfortably. Wearing school IDs can also encourage students to learn their peers’ name and be open to socializing. It can also limit the wait time in lunch lines by scanning the code on your ID instead of putting the ID number. School IDs not only prevent forms of outside terrorism but minor crimes within the school such as skipping class.